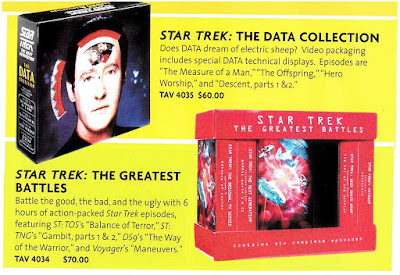 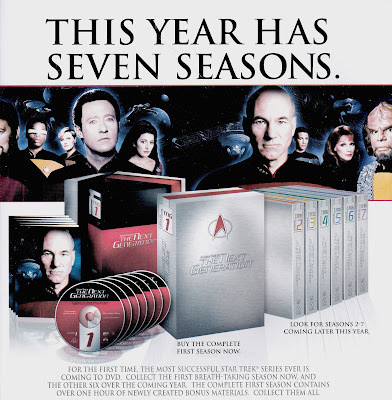 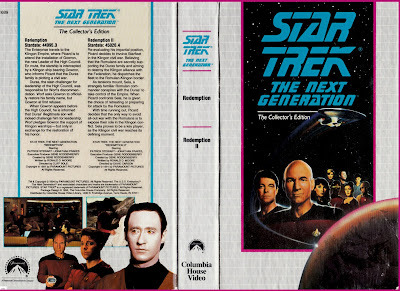 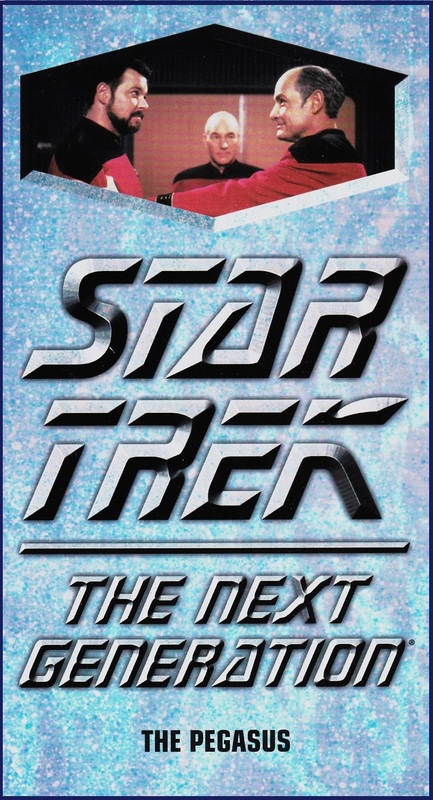 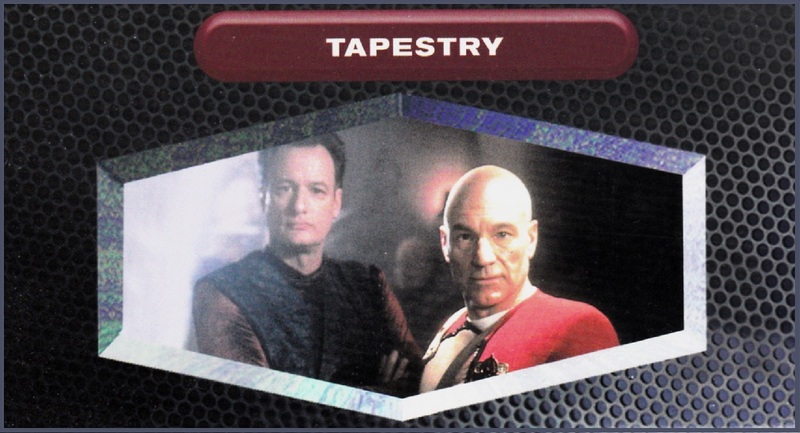 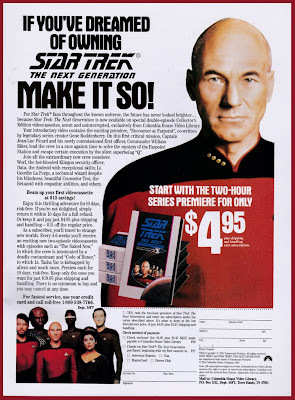 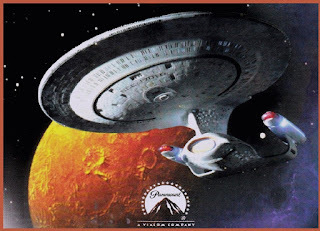 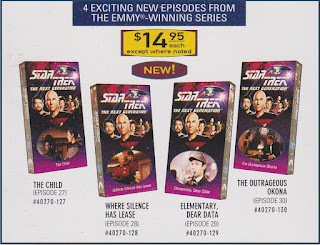 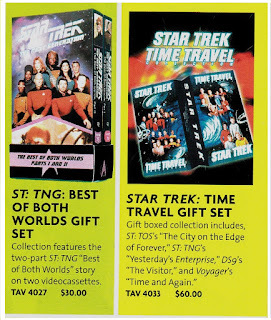 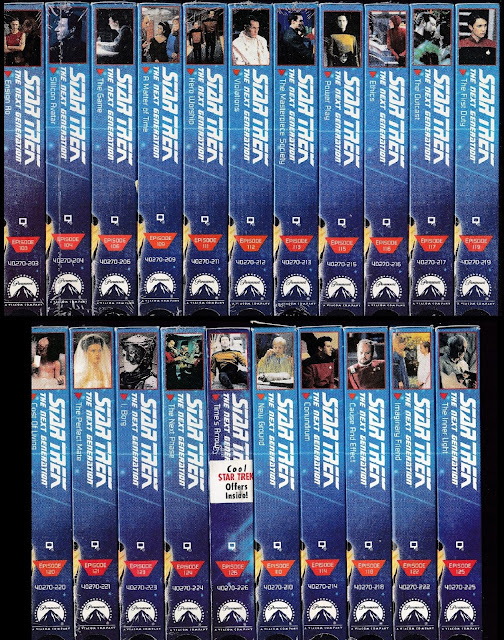 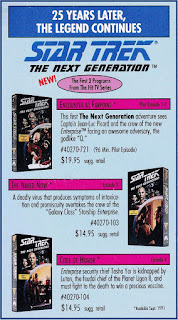 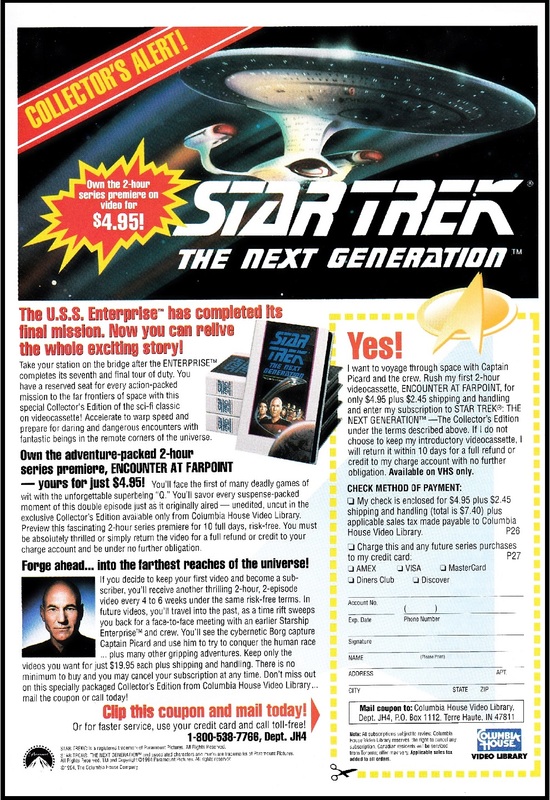 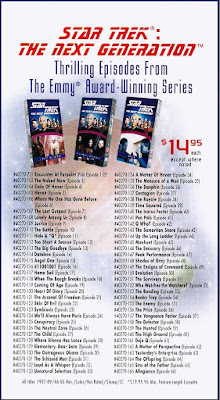 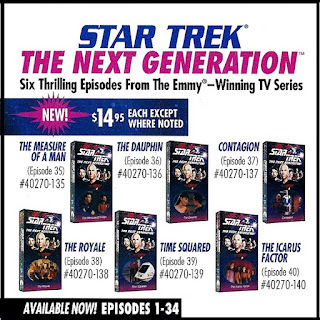 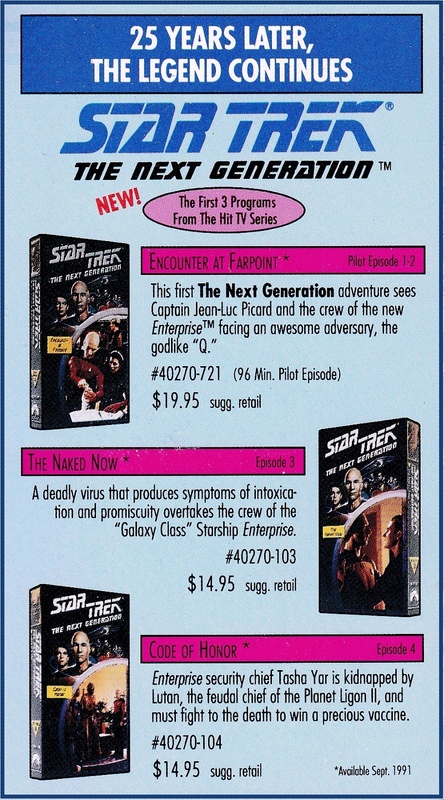 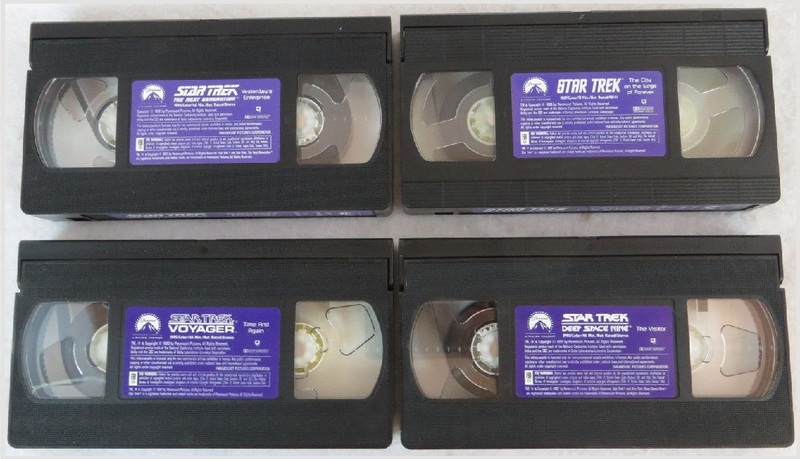 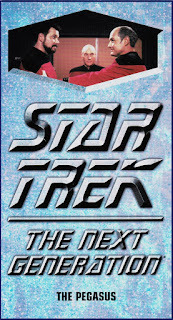 An Extension of : "The History of Star Trek: The Original TV Series on Consumer Home Video." 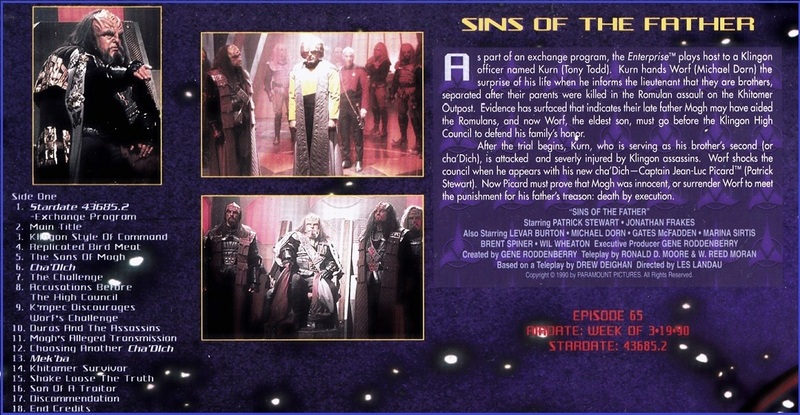 TOS Uniform on the Front Cover! 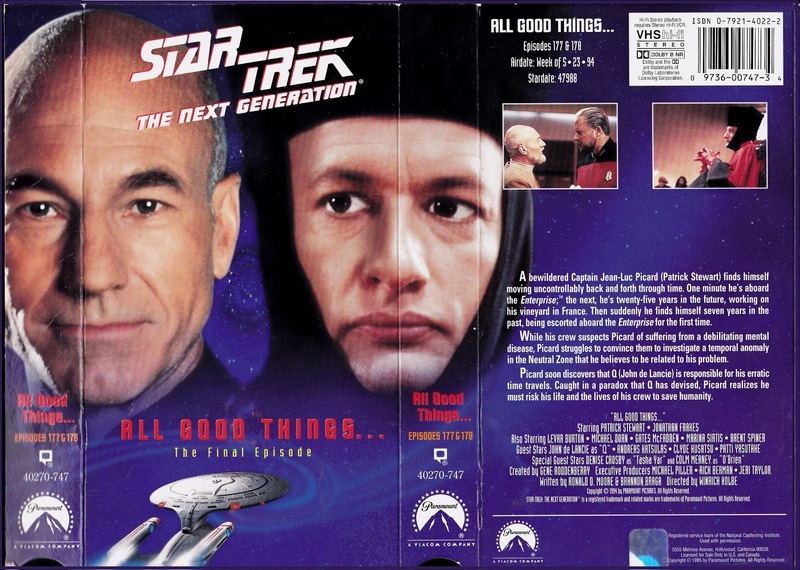 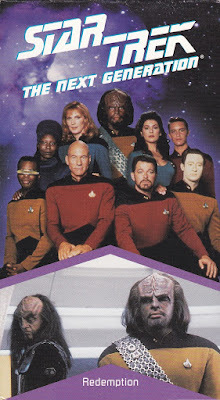 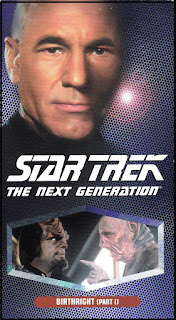 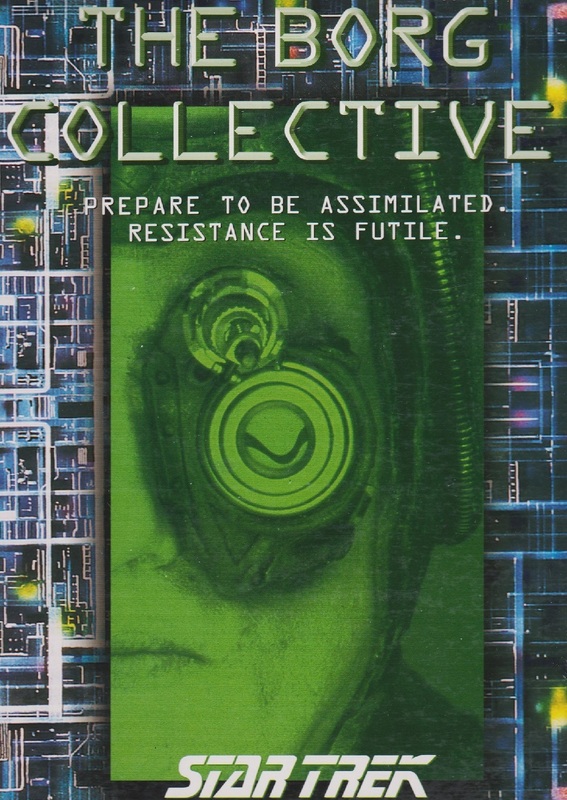 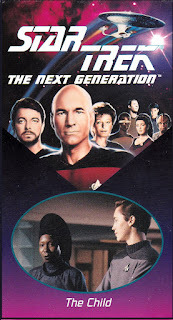 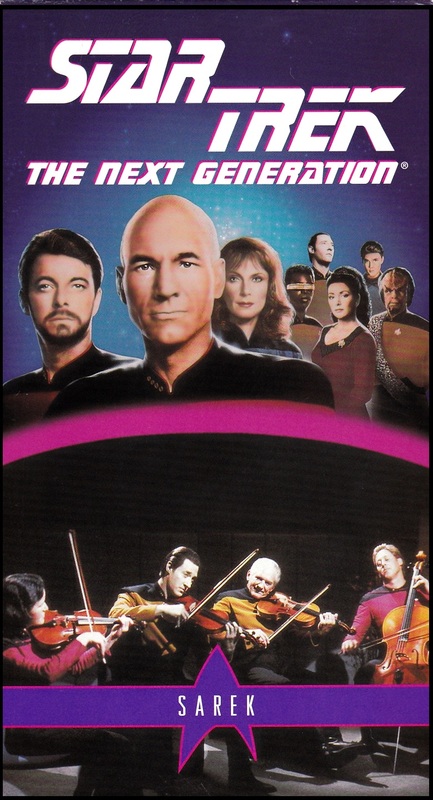 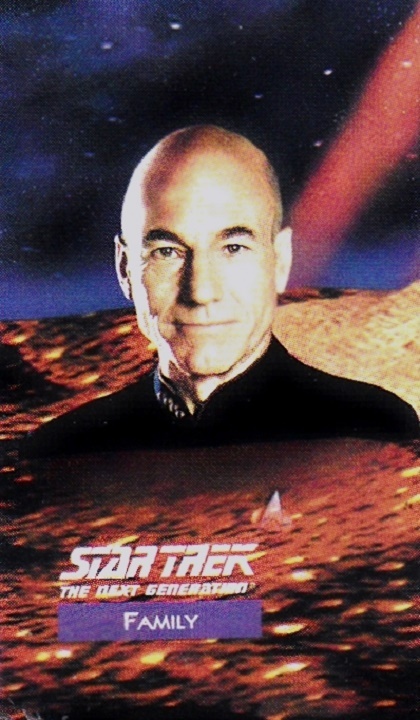 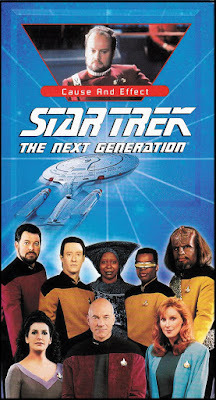 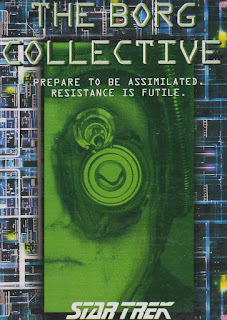 Top: The VHS Cover. 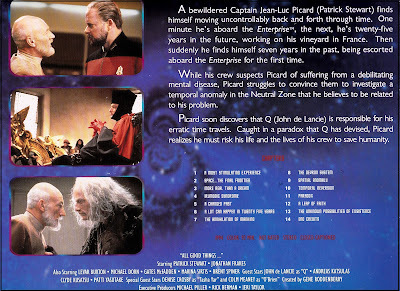 Bottom: LD Back cover. 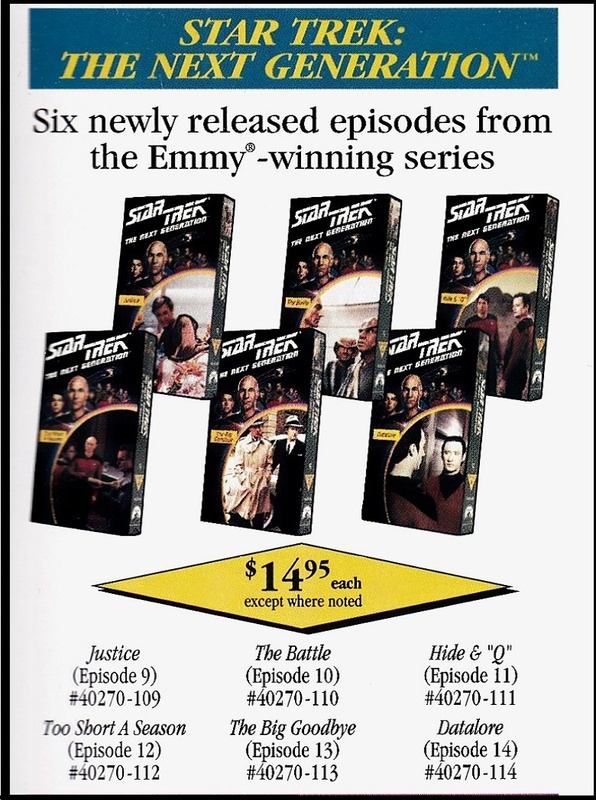 End of series double episode Collector's Edition Box set . 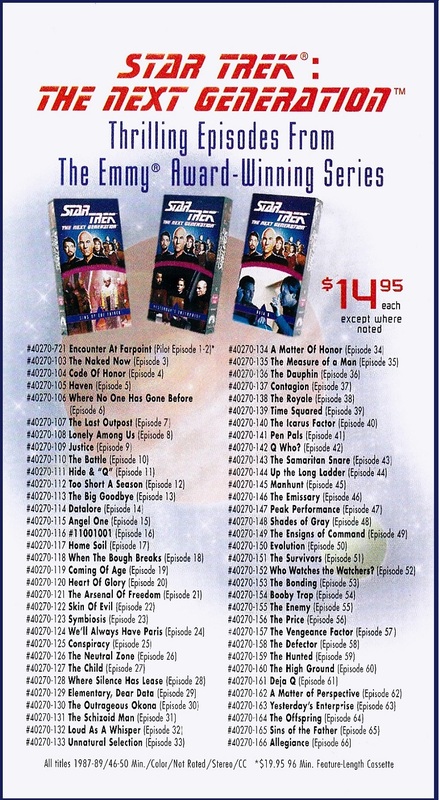 Additional Box sets and Standalone releases.. These releases utilized bumper titles screens before each episode. 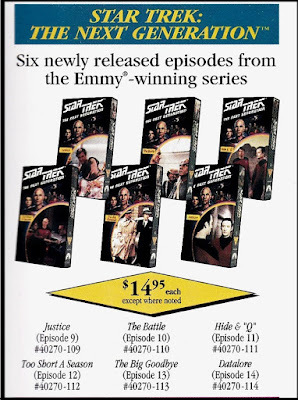 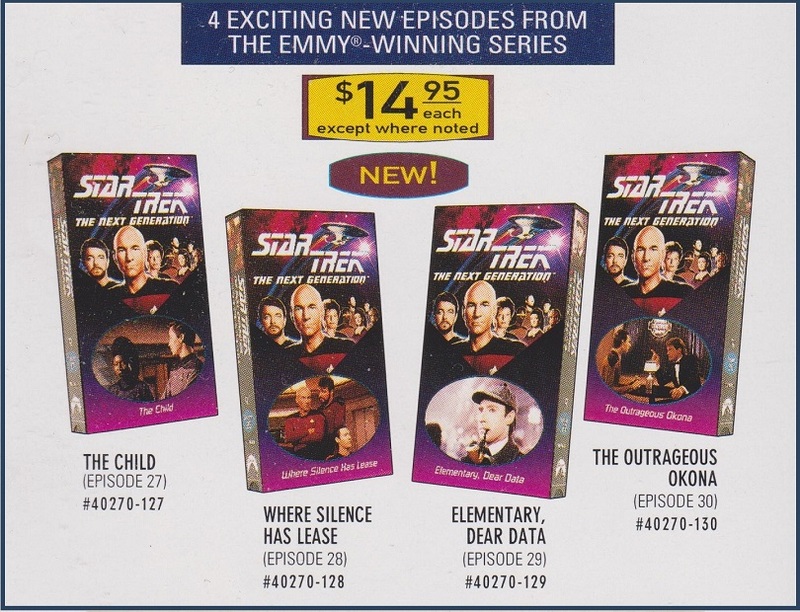 All the Columbia House VHS boxes looked the same: Only the episode description changed. 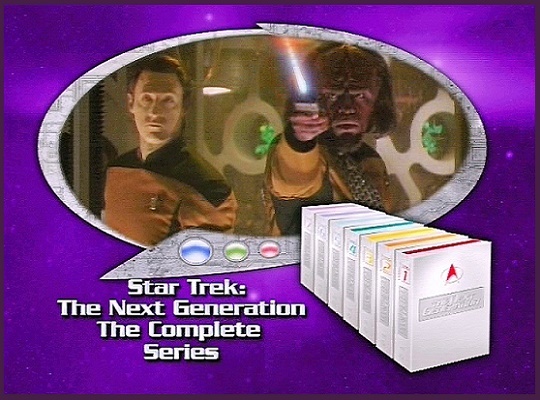 Above: The two bookends - The pilot episode and the series finale. 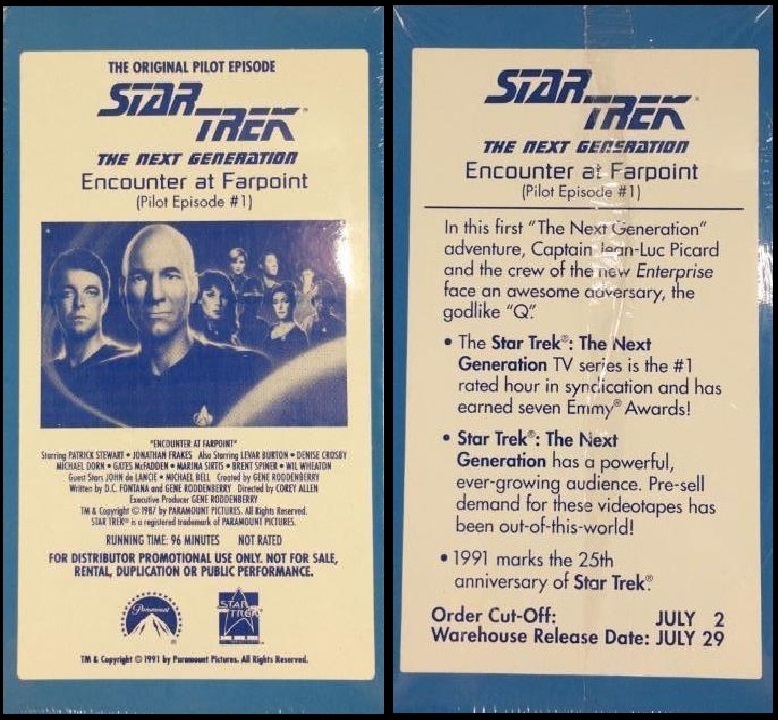 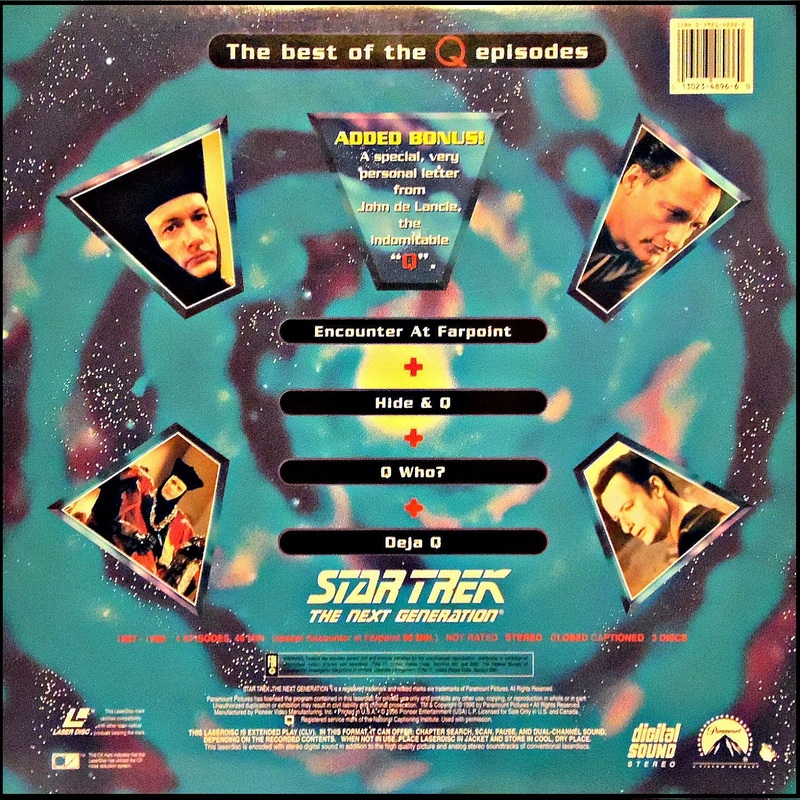 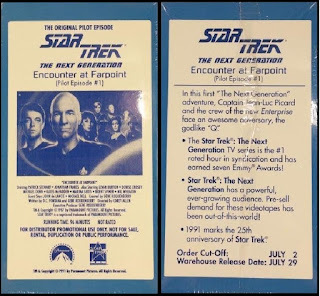 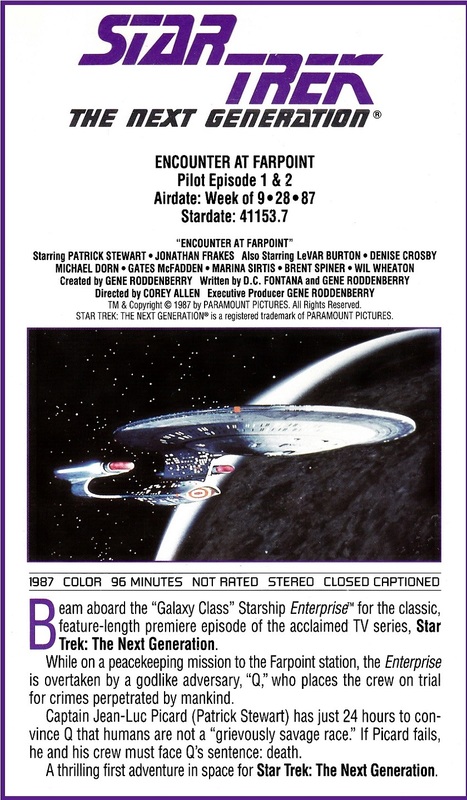 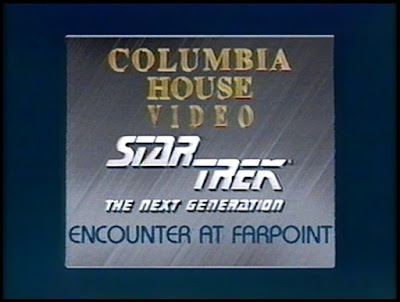 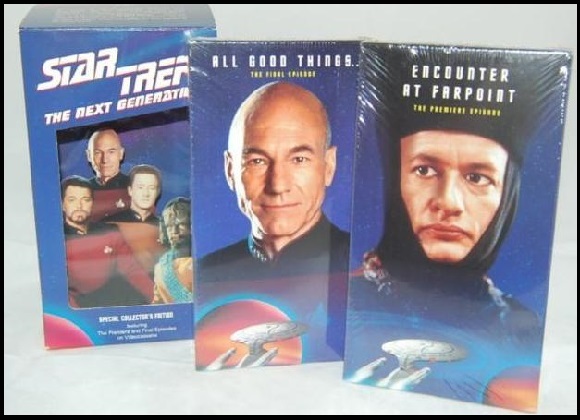 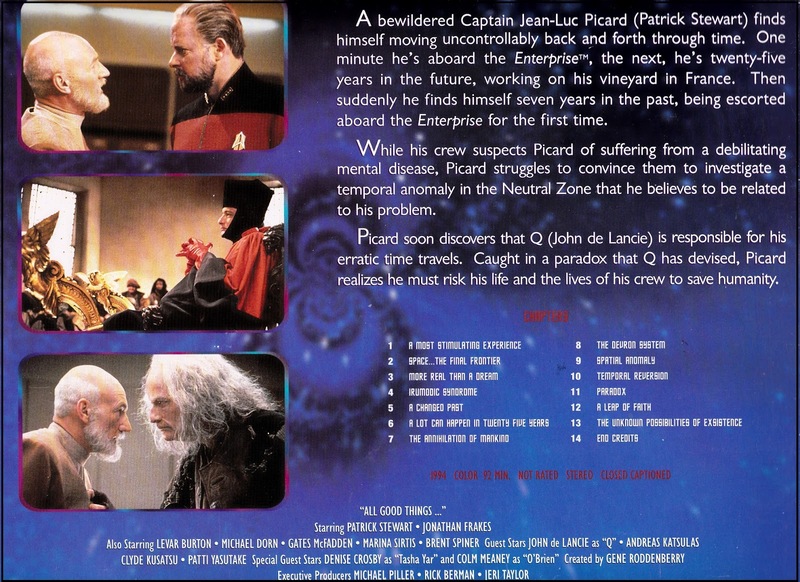 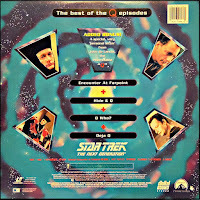 The initial run of "Encounter at Farpoint" featured the edited two-part syndication version of the episode. 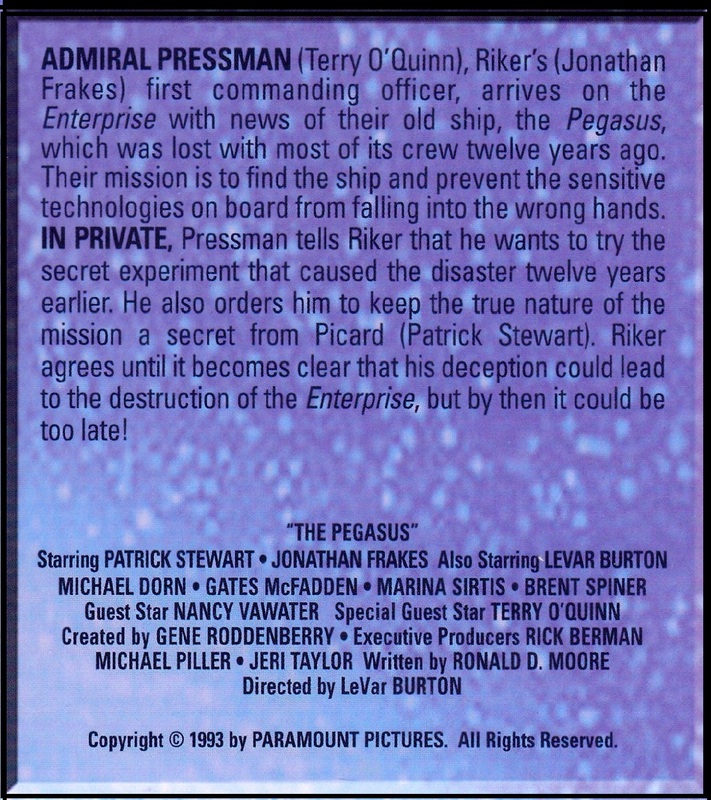 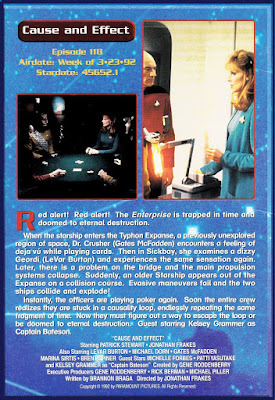 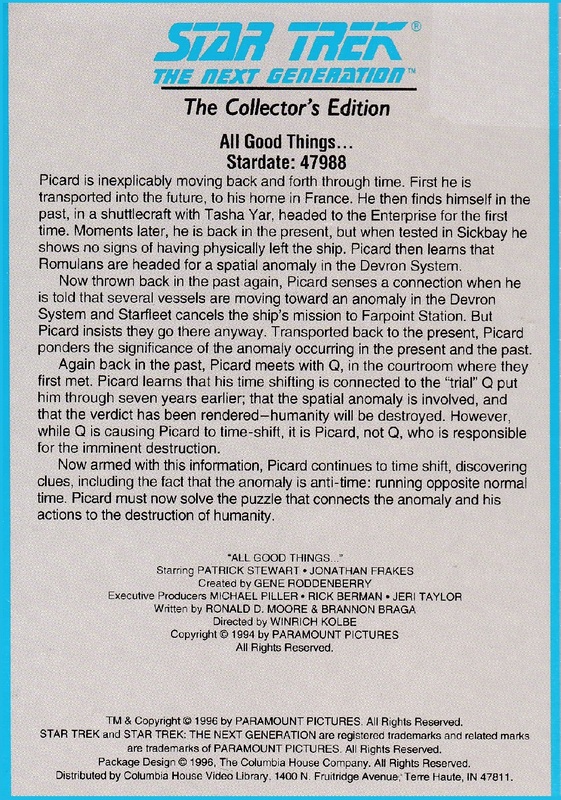 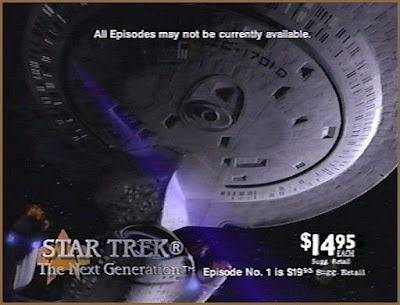 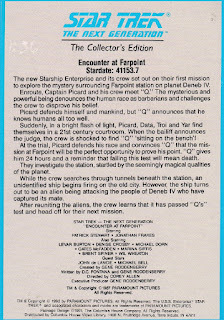 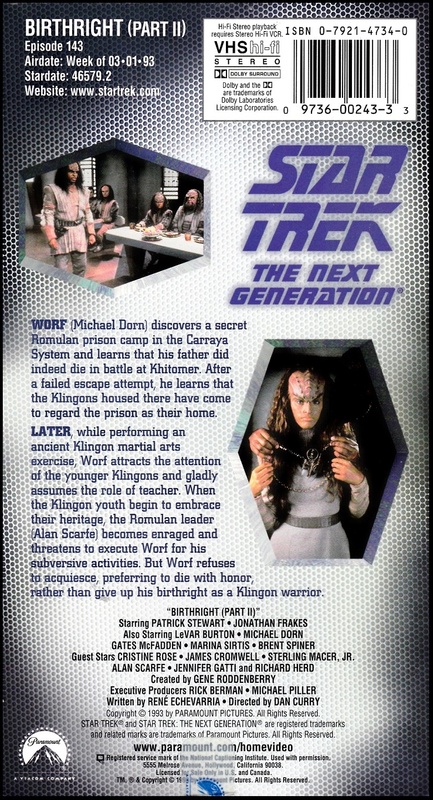 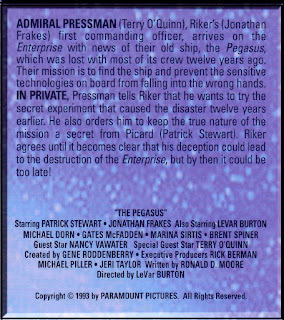 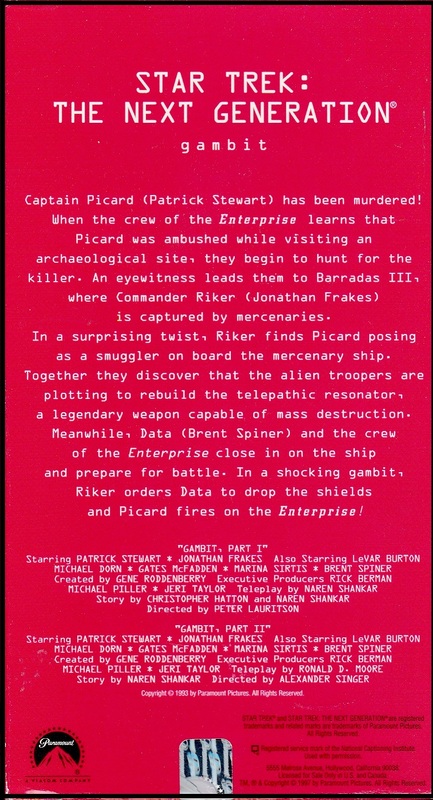 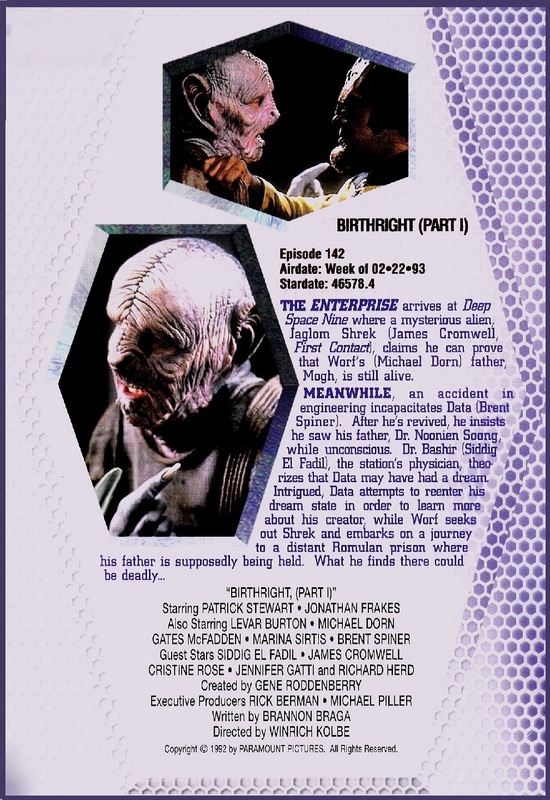 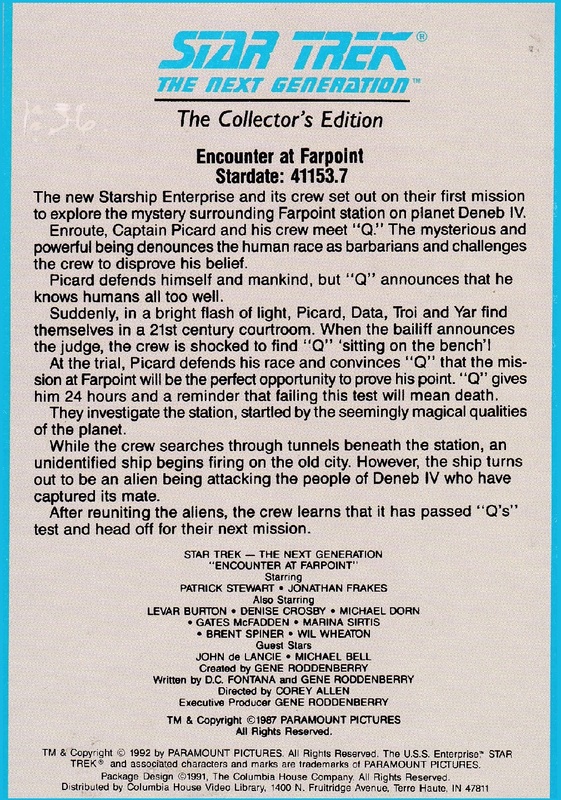 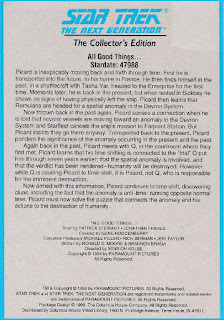 Later releases corrected this error at the request of series creator Gene Roddenberry and Paramount and issued the uncut version in its place.